When you want a transport partner that is always near you, the obvious choice is OnRoad – Your national, local transportation partner. 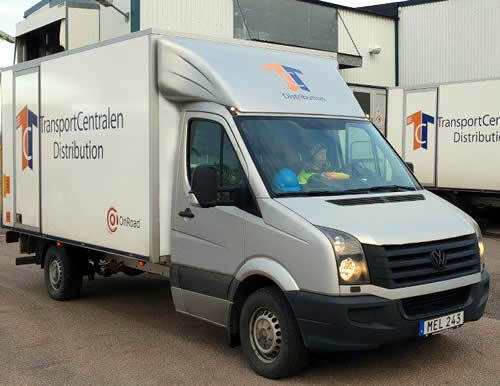 We take care of your logistic through out hole of Sweden with our network. Although that, we can be your personal local provider. How is that possible? The answer is simple, we are a network owned by five of the best logistic companies there is in Sweden today. Our co-owners are specialists in just their neighborhood and as you can find us all over Sweden there is always someone that knows your area. Everything we do in OnRoad is based on personal contacts with all costumers. You sign up with, talk to and make reservations with the local OnRoad-company. Today we have about 100 different lines across Sweden. We have 16 terminals across from north to south. All terminals can be found on this page, where you also find all contact information. OnRoad also provides great IT-systems for booking, tracking and much more. Do not hesitate to contact us if you think we could be your logistic partner in Sweden. Once again, welcome to OnRoad!